Illinois Institute of Technology is partnering with MCM Company, Inc. to restore and convert the university’s historic Main Building, 3300 S. Federal Street, into 84 residential dwelling units. The project is in the early planning stage. Specific restoration details and a project timeline are still being coordinated between Illinois Tech and MCM. 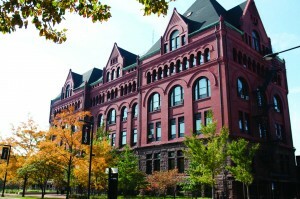 Main Building was built in 1892 and declared a city landmark in 2004.